Your brand is a destination. You’ve come too far to just blend in now. Halfway around the world, surrounded by competitors, with market share on the line and the clock ticking on annual sales targets — this is no time to circle your wagons. Instead, turn heads with a custom-built exhibit from Kallman Creative Services, and take pride in owning an event destination that’ll stop visitors in their tracks and jumpstart those sales conversations. Anything you want to build. Anywhere you want to build it. 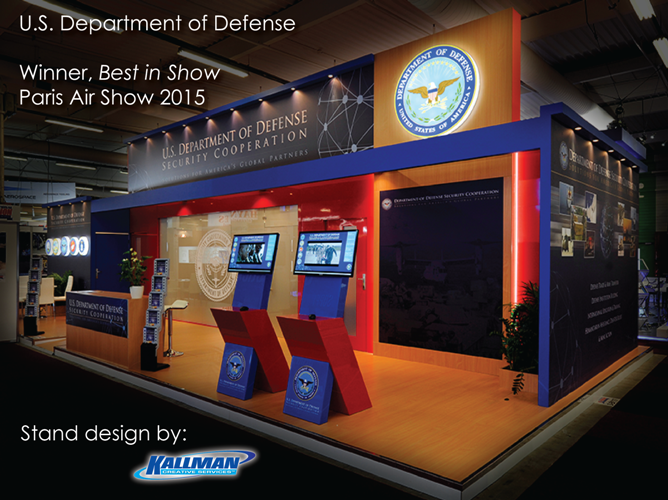 Kallman Creative Services has built exhibits in over 40 countries and serviced hundreds of clients. We invite you to scroll through to see some of our work! Who would have thought that on a bare concrete floor, in an anonymous exhibit hall, thousands of miles from your office, you could feel so at home? That’s what Kallman Creative Services does for you. We’re one of the most experienced custom builders in the trade, with nearly 300 clients and thousands of stands under our belts, because we know how to transform any raw space into a showplace that works for your business. From the first concept to the last detail, whether you’re buying an in-line booth or a stand-alone hospitality chalet, our approach is simple: we’re hands-on partners and honest collaborators who listen, design and build to your specifications — on strategy, on time, on budget. The bottom line is: When you arrive on site, you know it’s right. 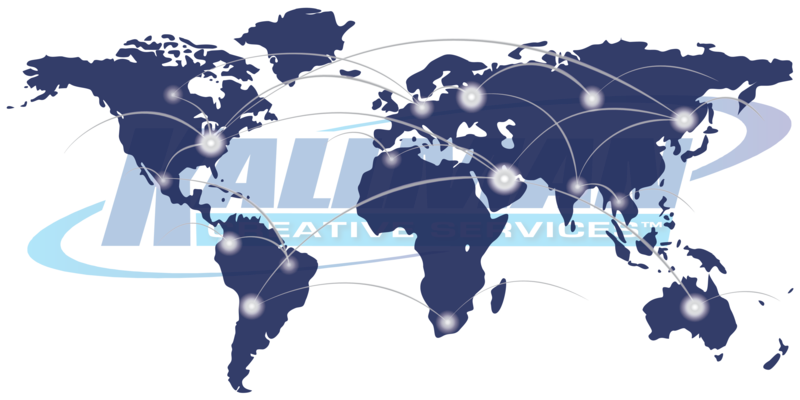 Whatever you need, wherever you need it, Kallman Creative Services stands ready to build. 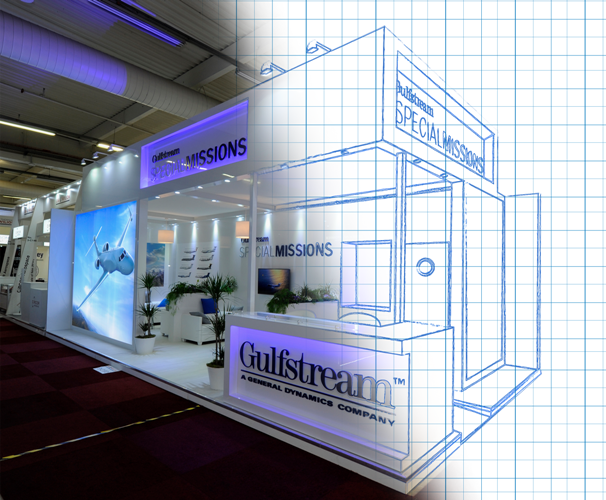 Our global team of designers, contractors and suppliers specializes in creating smart, efficient custom trade show exhibits — focused on quality and conscious of cost — because we know when the show opens, every square meter matters. Economies of scale make Kallman Creative Services more affordable: Working with in-country labor translates into direct cost savings for building your project. Our higher project volume lowers the unit costs for your materials and transport. When you add it all together, from build-up to tear down, Kallman Creative Services delivers measurable value every step of the way. 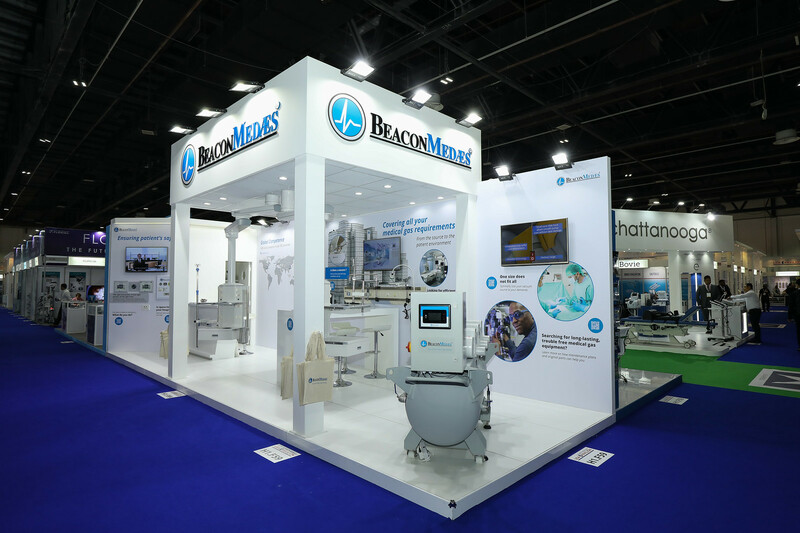 At the alternating biennial Farnborough and Paris air shows and the annual Arab Health Exhibition & Congress in Dubai, the USA Partnership Pavilion presents the “Best in Show” award for innovation and creativity in exhibit design. Winners are selected by an independent panel of judges who are asked by Pavilion organizers to simply “find the best.” Two awards are presented at each show: one for stands larger than 36 sqm, and one for stands smaller than 36 sqm. Since the awards were launched in 2011, Kallman Creative Services clients have won all but two of these prestigious awards. We’re proud for our award-winning clients, because their recognition affirms our fundamental belief that industry professionals looking for business solutions at a trade show — no matter how busy they are — will always stop and take a second look at a smart, inviting stand. Forgot your stapler? No worries. We have that covered, too! When big industry events call for a big corporate presence, a Kallman Chalet delivers a first-class executive experience. Whether you’re looking for a headquarters home away from home, a haven for hospitality, or a discreet balance of both, a Chalet integrates business operations and corporate entertainment functions into an exclusive escape from the exhibit floor. Here Are Some of Our World Class Clients! The Marvin Group has been a Kallman Creative Services client for over 10 years because the support they provide for our. . . Thank you for another fantastic year at the Arab Health show.